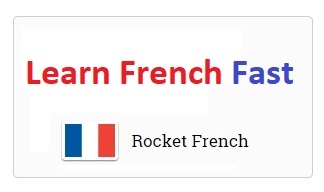 There are a number of ways to learn any language, including Spanish. A few are the traditional ways while there are many more that can be more effective. But the basics of learning a language will always remain. This would mean learning Spanish vocabulary. So more words you learn, the better it will be. In order to do so, people make use of different ways. This has been the most common way always. In this a person makes a long list of words in Spanish in one column. The next column has the meaning of these words in the language known to that person. Somehow this technique is not effective enough. The main reason behind this is that the brain recognizes context only. Hence random words that are not related to each other do not make much impact on the brain as the context is missing. Hence a better option would be to learn Spanish phrases. This refers to a collection of words in a phrase. Here there would be a context as a phrase tends to conjure up the image of a situation. Hence this is a much better way of learning. In addition, you also get to learn about the placing of words in a sentence. This would apply to placing of verbs too. But there are more effective ways of learning Spanish. This is something that is much more effective than the other two options. The main reason here is that the context is still more. Hence the brain is able to grasp things much better. This will be a simple story. It will have small and easy sentences. The next column will have the meaning of those sentences in the language understood by the user. Hence the person can refer to these in order to understand the story better. Here the vocabulary is much more. Hence the learning is better. Besides, the proper placement of words is also there as well as the placing of verbs in appropriate places. Learning Spanish vocabulary is very important. This helps to learn a language better as the brain does not have to translate all the time in order to let you speak the language fluently. This kind of learning and all the techniques mentioned here are about accumulating Spanish vocabulary. The more you accumulate, the better you learn and more fluently you write and speak. In addition, learning through phrases and story is still better. This is because the vocabulary enhances still further and the placement of words also becomes clearer. In addition, your grammar is also becoming better this way. With a story, you are able to imagine a situation. Hence you are able to have a context and the words become related and easy to remember. 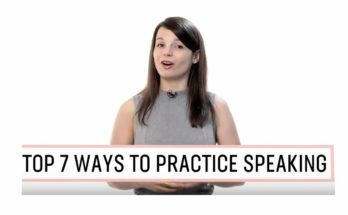 This is a much faster technique as you learn many words at the same times. 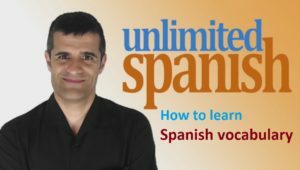 Hence if you are looking at learning Spanish efficiently, then this is the best way as it is easy and a lot of fun too! Unlimited Spanish course is the best program which you can learn vocabulary faster. There are listen and answer mini stories to help you improve your listening and speaking skills as well. 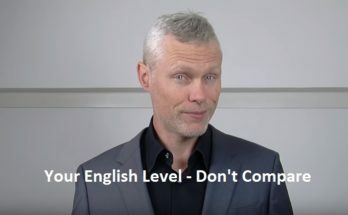 There are several such people out there who want to learn Spanish quickly thus they spend quite a few bucks to make sure that they learn the language but still they are not able to perform well. This is not because you have a fault but actually the issue is that the course is not designed in an effective way. Oscar designs the course in a unique way. He ensures that his courses fulfil the need and desire of all kinds of people thus he decided to divide the Unlimited Spanish courses into three types of courses which are stated as follows. 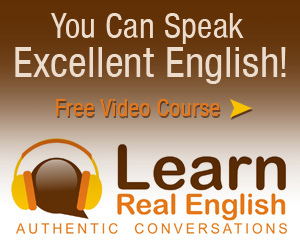 As a result we highly recomment Unlimited Spanish courses for you. 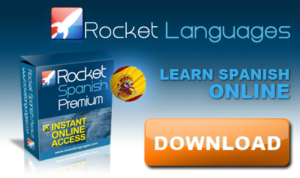 Click here to download mp3 Spanish courses!